Devil's Fire - Zinfandel Wine Jelly - 7.75 oz It starts with a scarlet red Zinfandel Wine ~ you're enjoying flavors of ripe cherry and after several seconds you feel a warm tingle on your tongue and then it stops. Our best description is entertaining. Devil's Fire is not a Pepper Jelly it is so much more -- a little heat with each bite that still allows you to take in all the flavors of the food. 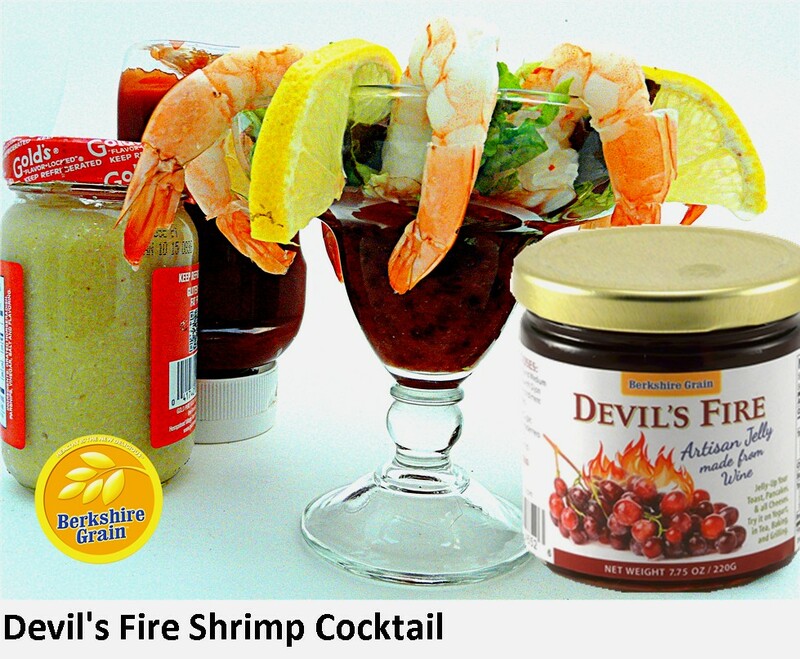 Like all Berkshire Grain Wine Jellies - Devil's Fire is great to cook with, as a condiment with all meats......anytime you want to switch things up. Packaged in 7.75 oz glass jars (when the Wine Jelly is done the jar makes a perfect stemless Wine Glass, for picnics and backyard entertaining), Scroll down for Additional Product Info and Purchase Options. ** SOLD IN SETS OF 4 JARS (Mix & Match) -- $7.50 EACH -- FREE SHIPPING! It starts with a scarlet red Zinfandel Wine ~ you're enjoying flavors of ripe cherry and after several seconds you feel a warm tingle on your tongue and then it stops. Our best description is entertaining. Devil's Fire is not a Pepper Jelly it is so much more -- a little heat with each bite that still allows you to take in all the flavors of the food. 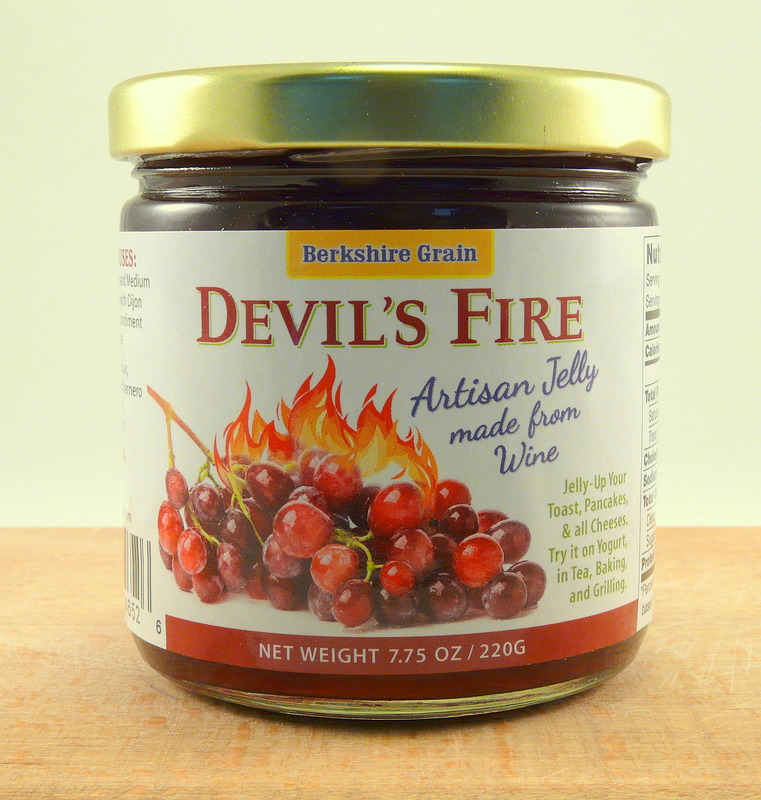 Like all Berkshire Grain Wine Jellies - Devil's Fire is great to cook with, as a condiment with all meats......anytime you want to switch things up.